Law Enforcement Littering Complaints / D.A.R.E. What do I have to do to obtain a local background check? Provide a photo ID, and the forms the company provides or fill one out at the Sheriff’s Office. These are done Monday-Friday 7:00 a.m. - 3:00 p.m. You can drop it off after hours, and we will contact you when it is completed if necessary. We do not charge for this service. How can I obtain a copy of my accident/crash report? How long after the crash should I wait before requesting the copy? When needing a copy of your crash report, please call the office first to ensure that the report is ready for pick up. It usually takes approximately 2-3 days for the report to come the Records Division. (This time may vary with bad weather). Make sure to have your report number ready or any information that you have available. You can pick up your report in person, have it mailed to you, or sent to a fax machine. How can I obtain a copy of my incident/theft/etc. report? When needing a copy of your incident report, please call the office ahead of time to ensure that the report is available for release. This can sometimes be a lengthy process depending on the type of report and if it is an open investigation. Open investigation reports are not public records. If it is a open theft/burglary report we are only able to release the property lists for insurance purposes. Do you charge for requested reports? We currently do not charge for reports that are average in length (about 50 pages). Anything greater than 50 pages we are able to charge $0.05 a page. How do I find out the disposition on a case? 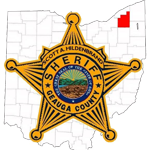 You can visit the Geauga County Municipal Court website at http://www.co.geauga.oh.us/municourt/ or call at 440-286-2670. For juvenile case dispositions you may contact 440-279-1830. What days and times are CCW permit applications processed? Hours of operation for accepting and issuing concealed carry handgun permits will be as follows. Please arrive well before closing as this is first come first serve service, and anticipated time required to complete the process is about 20 minutes. Tuesday, 8:00 a.m. to 6:45 p.m.
Thursday, 8:00 a.m. to 7:45 p.m.
Saturday, 8:00 a.m. to 2:45 p.m.
What days and times are civilian fingerprints taken? Civilian fingerprints required for employment, adoption proceedings and other non-CCH purposes are also taken Tuesday 8 am - 6:45 pm; Thursday between 8 am - 7:45 pm; and Saturday 8 am - 2:45 pm. The cost for these is $30 for a State of Ohio check, $30 for an FBI check, and $60 if both checks are needed. Again please bring your photo ID and exact change. 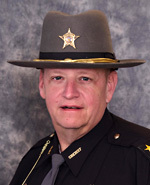 The Sheriff’s Office cannot make change. Who do I call if I want to find out road conditions? To find out Road conditions call the State Highway Patrol road and weather conditions hotline at 1-888-2OH-ROAD (888-264-7623). Who should I call when my electricity/power goes out? Report Power outages to your electric company. First Energy can be reached at 1(800) 646-0400. What should I do with a loose dog? If the dog is not presenting a threat try to catch and contain the dog for the dog warden. If you recognize the dog contact the owner to pick up their dog. If you do not know the dog, check for a tag and make note of the numbers on it. Call the Dog Warden at 440-286-8135. If you are unable to reach a person at the Dog Warden call your local Police Department or Sheriff’s Office. Where do I find out about Sheriff's sales? Please look at the Sheriff's Land Sale Listing page.